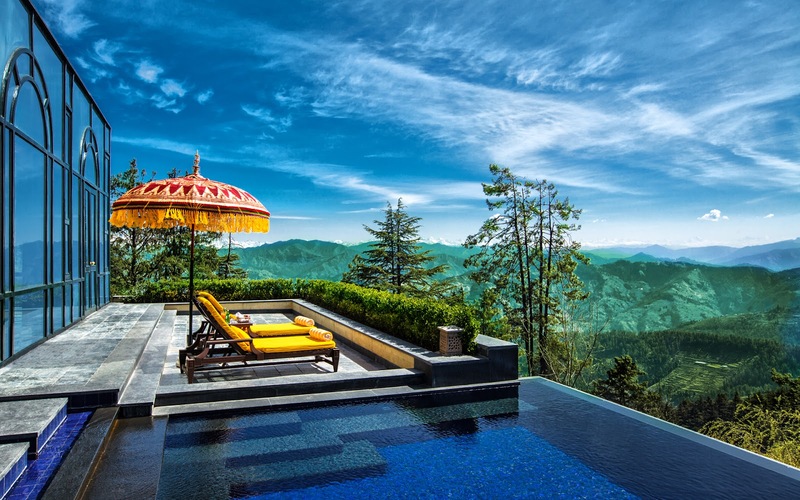 Relax in the open air Jacuzzi of this luxurious Oberoi property and soak up the majestic views of the Himalayas through a truly infinite experience of the pool blending into the valley. Relive the magic of a colonial hill station home in any of the luxury rooms at this picturesque mountain retreat more than 8000 feet above sea level. And once you are done relaxing in the outdoor infinity pool be sure to indulge in guided walks through the pine and cedar woods, burn those calories with a trek through the mountains, experience an adrenaline rush by rafting over the gushing Sutlej, mountain bike or simply enjoy a horse rise at a sedating pace. Be sure to put this trip on your bucket list. There is nothing more soothing than the view of lush green valley and the sound of nature and you can experience this wonderful feeling lazing in an infinity pool stretching out to the rolling hills and drifting clouds at the Kurumba Village Resort. Nestled in the Nilgiris at an ideal altitude with temperate climate, Kurumba Village Resort is a luxury resort amidst a spice oasis with large cottages and suites offering spectacular views. And while lazing around the pool and breathing the invigorating clean air seems to be the most ideal thing to do, the resort also has interesting tours such as tea tasting, tea plantation-factory tour in addition to the usual activities such as trekking, cycling, nature walks, bird watching and many more. Being in close proximity to Ooty ensures plenty of sightseeing opportunities. We recommend taking a ride on the quaint little Nilgiri Toy Train (a UNESCO world heritage site) which is a true treat to the senses as it takes you on a picturesque journey you will remember for a very long time. Bon Voyage. You must have heard this a thousand times. "I am off to Goa to party". Well there is more to Goa than just a vibrant night life. How about floating on a recliner in an infinity pool set amid lush paddy fields sipping on your favorite cocktail at the beautiful Alila Diwa in South Goa? 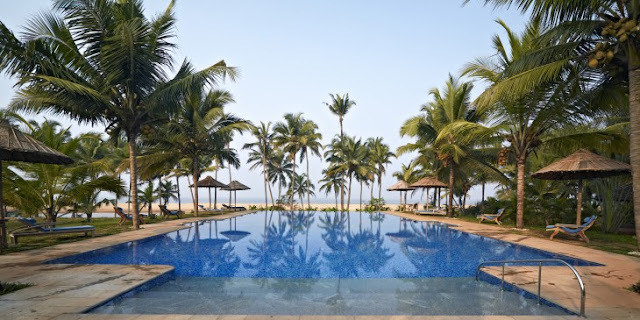 Featured in PLACESTOSEEINYOURLIFETIME.COM as one of the Top 10 RESORTS TO GO TO IN 2015 Alila Diwa is a 20 minute drive from Dabolim International airport. The resort has a contemporary design inspired by traditional Goan architecture. There are plenty of things to do when you are not drifting on the pool. The "Fresh from the Catch" is an interesting tour where you can buy your fish from the local markets and learn how to cook a local delicacy from the Chef at the Alila Cooking School. We recommend a trip to the beautiful and unspoiled Palolem beach where you have an opportunity to spot dolphins by catching a ride with the local fishermen and Yes we know you still want to party and so experience one of the ‘Silent Noise’ parties at Palolem where you can dance all night to DJ music with your own set of headphones. Have a blast. 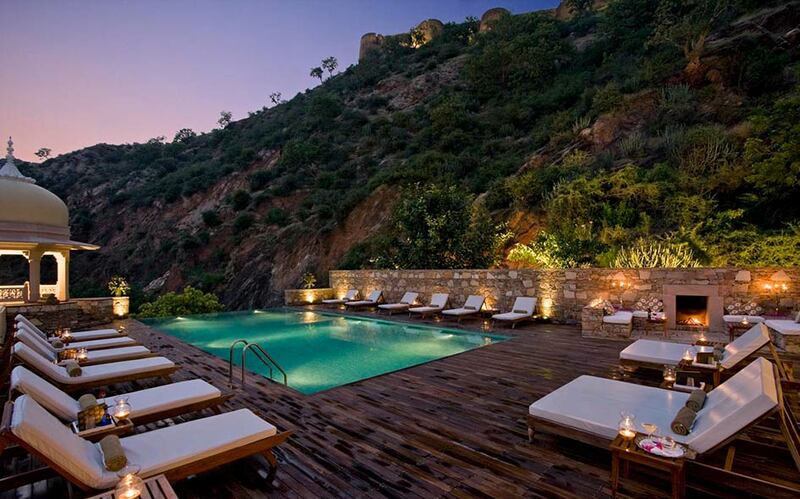 Enjoy a breathtaking sunset on the Aravali Range while relaxing in the rooftop infinity pool at the 475 year old Samode Palace. The regal Indo-Saracenic architecture of Samode Palace will take you back into time and rejuvenate your senses with majestic frescoes, ornate ceilings and mirror work while you enjoy contemporary luxury with unparalleled service. Unwind yourself by exploring the palace, visit the Mughal Garden and Sand Dunes, have some adventure on a Camel and Horse Safari or enjoy a birds eye view of the Palace by treating yourself to a hot balloon ride. Are you ready to embrace royalty? 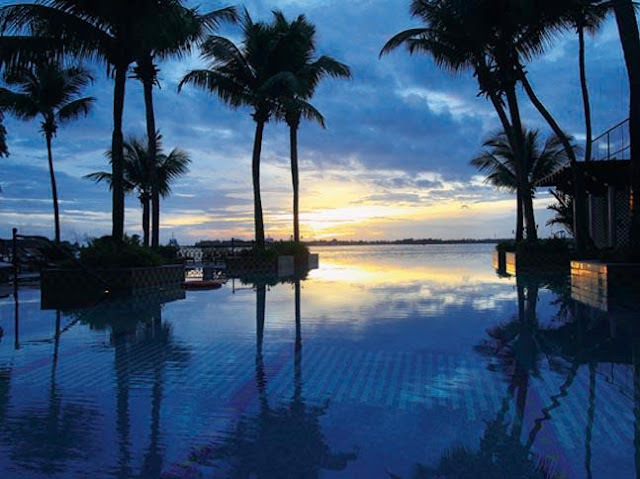 We love the sea and can't think of a better way to de-stress than at the infinity pool of Vivanta by Taj Malabar watching the sun set on the spectacular Cochin harbor with a seamless view of pool, sea and the horizon. 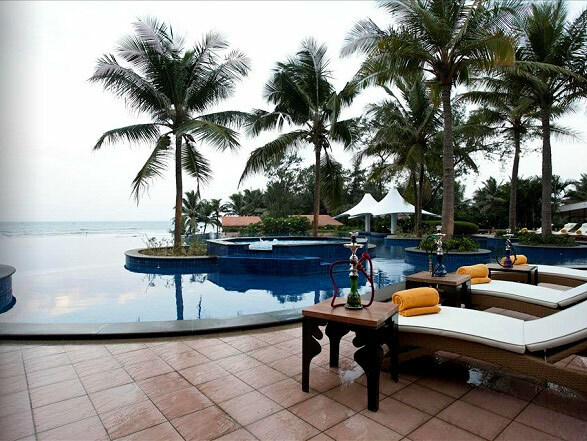 Located in Wellingdon Island, the Taj Malabar gives you the best of old heritage charm and modern facilities. Opt for any of the numerous sightseeing tours, enjoy a romantic private dinner in a gazebo at the swimming pool or indulge in luxury aboard the Cinnamon Coast, a 3 bedroom yacht for the utmost experience in backwater cruising. Go for it. The magnificent 70 feet infinity pool at Neeleshwar Hermitage overlooking the Arabian Sea will awe and invite you to experience tranquility at this luxurious beach property in North Kerala. Nestled in a palm grove besides a long secluded beach, Neeleshwar Hermitage will inspire you to forgo daily pressures of life through ayurveda treatments, yoga, meditation, and delicious food. Unwind and relax by taking a backwater cruise on the houseboat and say cheers to solitude. Pamper yourself in the infinity pool merging with the Bay of Bengal at the Radisson Blu Mallapuram. 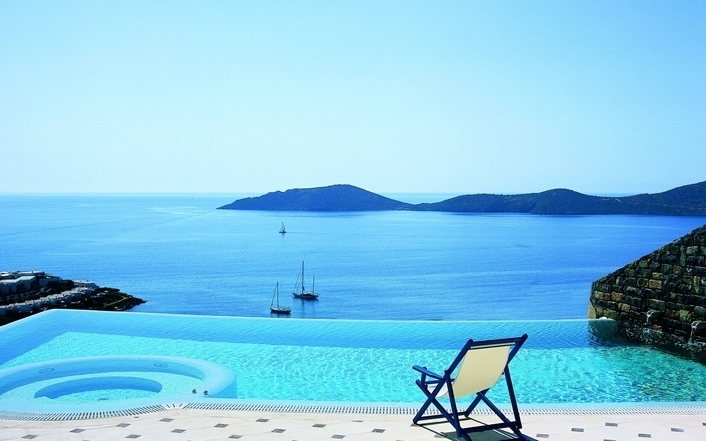 Located off the East Coast Road, Radisson Blu offers Luxury Stay in Stylish Villas and Chalets. Laze in the enormous 27,000-square-foot meandering pool and unwind with your choice of cocktail at the sunken bar. Do take the opportunity to visit Mahabalipuram (UNESCO world heritage site) and Pondicherry once known as the French Riviera of the East. Happy Exploring. 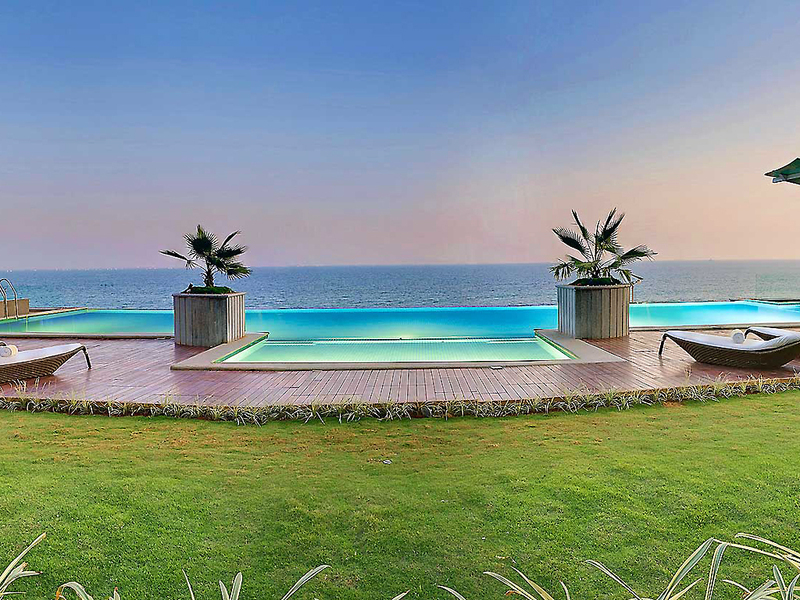 Comfort your senses with panoramic views of the Bay of Bengal at the infinity Pool of Novotel Visakhapatnam. Labels: City Breaks. Top Infinity Pools. Best Infinity Pools Hill Resorts Infinity Pools in India Luxury Resorts Mountain Resorts Ocean Resorts Pool Resorts Scenic Pools. Hi there ! This really wonderfully explained, I will try it for sure. Good thanks.